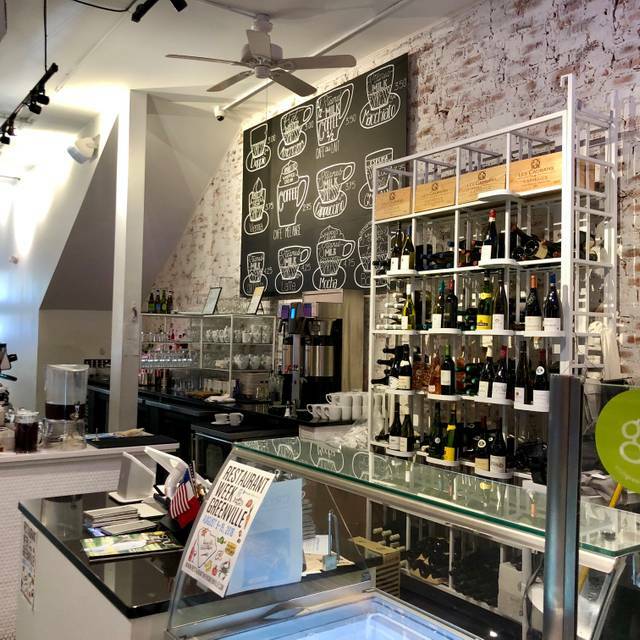 A traditional French Creperie, Wine Bar and Coffee Shop located in Downtown Greenville. Serving Counter Culture coffee and the only all French wine list in Greenville. Great experience although the service was a bit off. Would definitely dine there again. Food was excellent and I very much enjoyed the atmosphere. The service here needs some work, but the food more than makes up for it. We ate dinner and dessert. Everything was amazing. We will be back again for sure. C'est délicieux. Our group enjoyed the crepes and salads we ordered. The crepe portions are generous. I would recommend this restaurant to a friend. The atmosphere was pleasant and on the quiet side. The service above average. The wine prices are a bit high, but overall, a positive experience. Delicious food. Cozy atmosphere with a view of the chefs. My wife and I were in Greenville for a concert on Valentine's Day and used Open Table to find a restaurant. There weren't too many options at the last minute, but fortunately, Crepe du Jour was one of them. 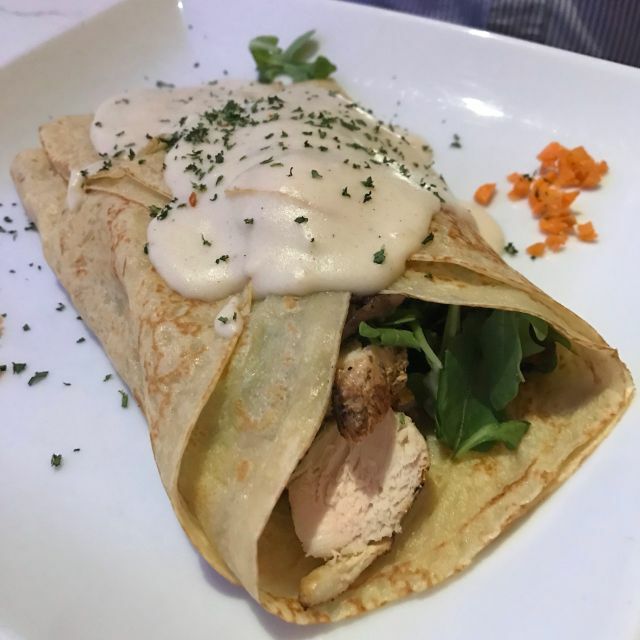 We shared the chicken dinner crepe and the Pesto crepe and were very pleasantly surprised by the amount we received as well as the taste. Both were absolutely delicious and we were full. We did, however, share an ice cream dessert crepe with chocolate ice cream, bananas, pecans and caramel sauce. Again, amazed at the portion size and delicious taste. We also had a glass of wine each and the total bill was very reasonable. I would highly recommend this restaurant and we will definitely be going back when we return to Greenville. Great, great food. Our waitress was very nice but not very attentive. The decor is cute and it's definitely a great date spot. They had live music via piano which was nice. We came here for dessert, I had the Banana Foster and she had Nutella crepe. 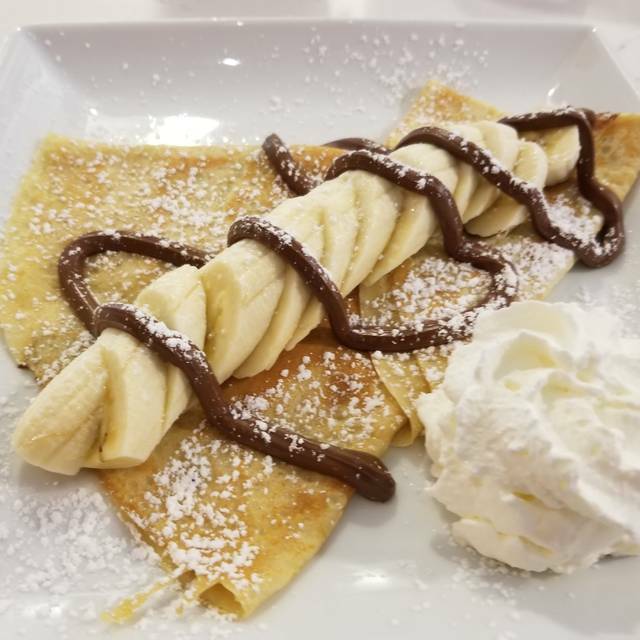 The banana foster was not warm and a little undercooked, the Nutella was amazing (however she had to send hers back since she ordered with banana and it first came with strawberry). I did have the mocha coffee and it was amazing, it has a design on it I felt pretty basic/hipster (although took a while - they were having issues with machine). She had a glass of wine. It was about $40 which I thought was pricey but she enjoyed it. The place smells amazing and watching them cook crepes is cool, but the service was okay and we agreed this was a once of year for of dining. They were very busy and it seemed like they had issues handling it. We each enjoyed a main course crepe and then split a banana foster crepe four ways for dessert. Big mistake! 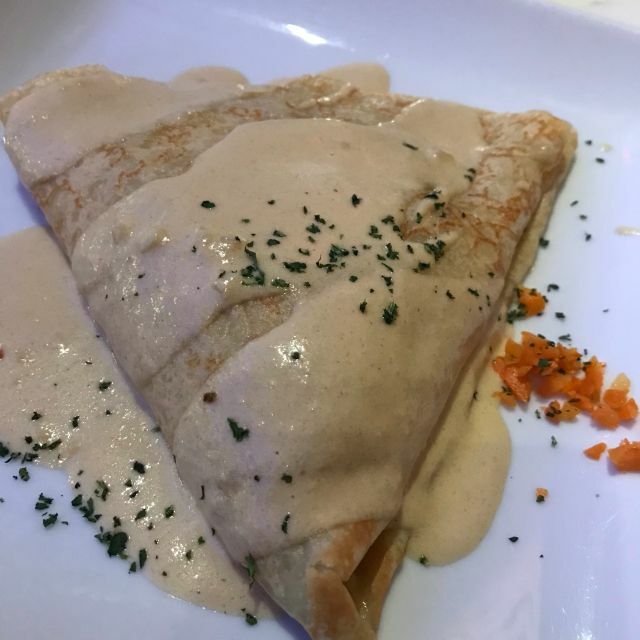 Next time two of us will split a main course crepe, which will be plenty without ruing dessert, and then order our own dessert crepes so we don’t have to share! Everything we had was delicious. Great service. AND, the best cappuccino I’ve had in YEARS. Crepe du Jour was fantastic. The service was incredible and the food was great! The restaurant itself is very nice, quaint, very friendly and good atmosphere. I ordered the mushroom and chicken crepe. 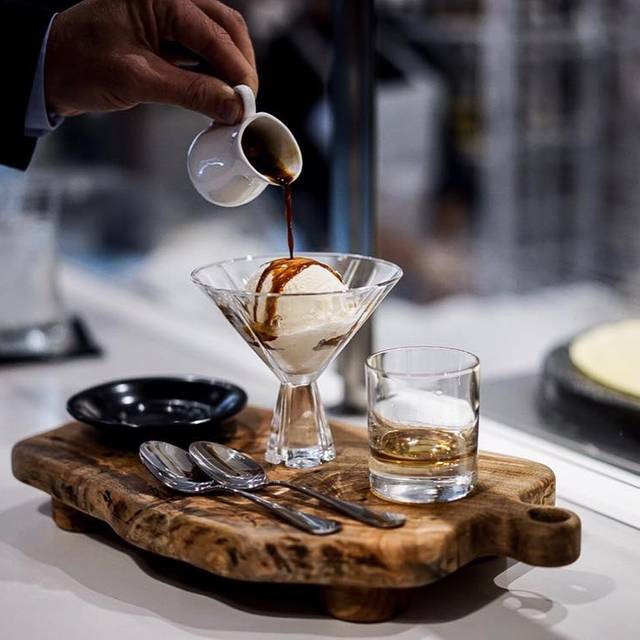 It may have been made the way they do in France and real connoisseurs will love it. But it wasn't my taste. The sauteed spinach wasn't done and not hot. The ice cream crepe, however, was delicious. Food and attention to detail was awesome! Staff was friendly and very attentive. They actually had knowledge of the food they were serving. This is our favorite coffee place in Greenville. They start with filtered water, roast their own beans, and use professional baristas to produce a quality drink that is not weak or bitter. Perfect. The Market Street crepe is wonderful, filled with house-made almond filling, and topped with fresh strawberries and/or blueberries. Wonderful. I really liked this place! The server and manager were great! I mentioned that I was celiac and they said I could get the GF crepes. 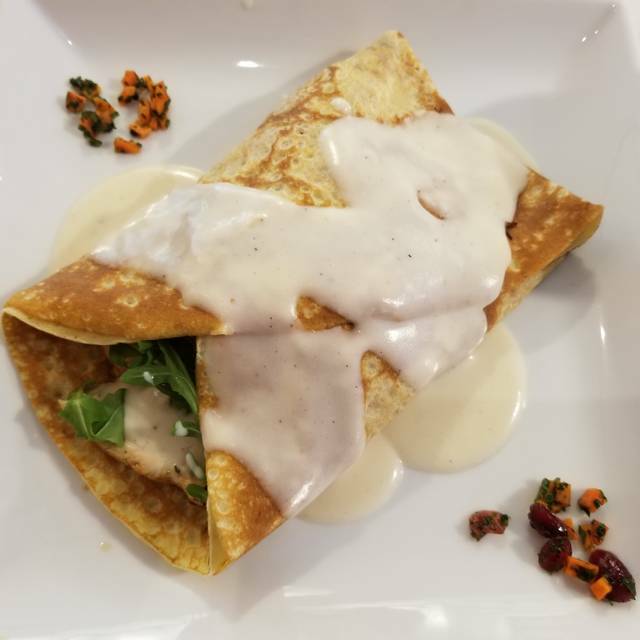 When my crepe came out I immediately knew it was not GF (they use buckwheat in the GF, so I knew the color was wrong for buckwheat), and brought it to the attention of the staff. They replaced my order within 5 minutes with the correct order. I'm also dairy free so there weren't a ton of options for me, but the tuna crepe was very good. I also was able to order a crepe with just strawberries for dessert. The whole experience was lovely and I will definitely be going back. Service was outstanding and very attentive. The food was exceptionally presented but most of all tasted great. This will be on my list of places to return to. Lighting was a little brighter than preferred. Owner greeted us, accommodated request for buckwheat crepes which were not on the menu and we got served quickly. I recommend the Chicken and mushroom savory crepe. Food was great, but service was inconsistent. 2 of us had a cold wrap and that came out 10 minutes before the others at the table that had a hot dinner. Didn't ask about drinks when we first got there. Would give them another chance. Great to have crepes again after many years, but would like to see them make them a bit thinner. Modern and casual setting on Main Street is neat. I have patronized Crepe du Jour three times now...breakfast, dinner, and once just for morning coffee. Each visit has been delightful and the crepe choices are excellent! Our reservation what is for 11 PM at night and the hostess called around seven and said we would have to be there at 10:30 since the restaurant closes at 11. Why would there be a reservation for 11 if the restaurant closed at that time? When we arrive the hostess didn’t even ask us for our reservation and just told us to seat ourselves where ever we liked. Wasn’t much need for that reservation. there was a musician they’re playing the saxophone in it provided a nice ambience but it was hard to hear the conversation between my husband and I. Crepes were delicious but just didn’t feel like we were welcomed at that close to closing. We came during restaurant week, but ordered from the normal menu. Our friend who requires gluten-free options was able to get the crepe she wanted, and we all thoroughly enjoyed our coffee beverages. It was a nice little lunch spot! 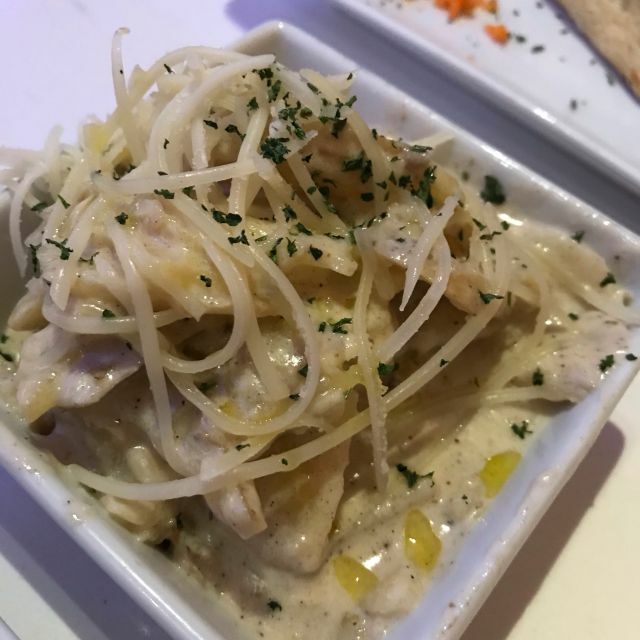 It was my second visit and while the occasion, company and size of the group were completely different I was very pleased both times with the food and service. One crepe, the salmon was terrific. Mine, the chicken was not as tasty but I did enjoy it. I like a lot of spice and found it bland. I think a few extra ingredients would have helped. The service was great and prices seemed fair. Would love to try their desert crepes sometime. Amazingly their coffee is just as wonderful as their crepes and their crepes are spectacular. We had the chicken and mushroom, smoked turkey and bacon and tomato pesto crepes. They were delicious, an amazing portion and a delight. We watched them make their various sweet crepes and they looked so good, but we were full. The various coffee offerings amazed, so much so that we returned for just coffee on our way out of town. Great downtown location and the restaurant itself is beautiful. It is a pleasure to rate Crepe du Jour a 5 rating, the baristas and manager Anthony also made our visit special. This is a must experience for any meal! Great setting and functional table arrangement. Well-informed staff, attentive, and courteous! A variety of menu selections for light French fare. Very authentic preparation and presentation, very comparable to our travel experience! Crepes were amazing. Only negative was the desert crepe was not fully cooked. Other than that it was great. Nice family dinner. Had the strawberry salad with chicken this time instead of a crepe. The crepes were tasty and fresh. The service was good, however we were one of only a few table there and the wait person did not come back after serving our meals to ask how everything was or see if we wanted another drink. It was no problem for us because we enjoyed our meal and didn't need another beverage however, it might not be the best practice for other dinners. Enjoyed the food and service was great. Will definitely go back. 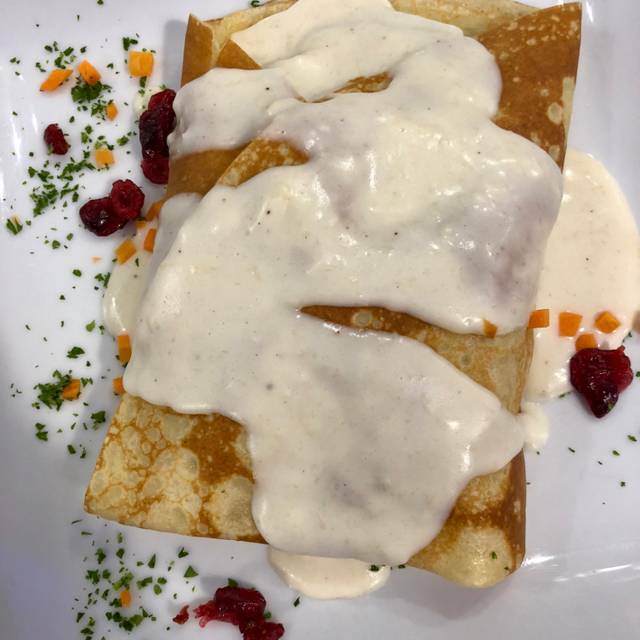 We had the crepe canard (duck), mushroom/swiss, and smoked salmon crepes. All were delicious. For dessert we had an ice cream crepe with strawberry-there are many options to create your own taste sensation. The wine options, all from France, were impressive. We had a wonderful Vouvray. We had a great server too and the prices are great too. This place has great potential but it will never survive with such poor management & wait staff. The restaurant design is sleek white & clean which looked great. Menu, food quality & wine list were all positive. Two major weaknesses. First issue, our waiter who was poorly trained, inexperienced and far to social with other staff but not with customers. While ordering, we specifically informed him we were in no rush & would like to take our time. Wine delivered in 3 minutes (ok), but then in 3-5 minutes our main entrees arrived yet no sign of our appetizers. Finally 5 minutes later our appetizers arrived. The waiter didn’t think it was a problem. All this time, the manager was standing around chatting with various staff, his back to the tables. Never once did he turn around or walk the floor the 45 minutes were in the restaurant. Very sad. Delightful evening - excellent food and great service. Thank you. 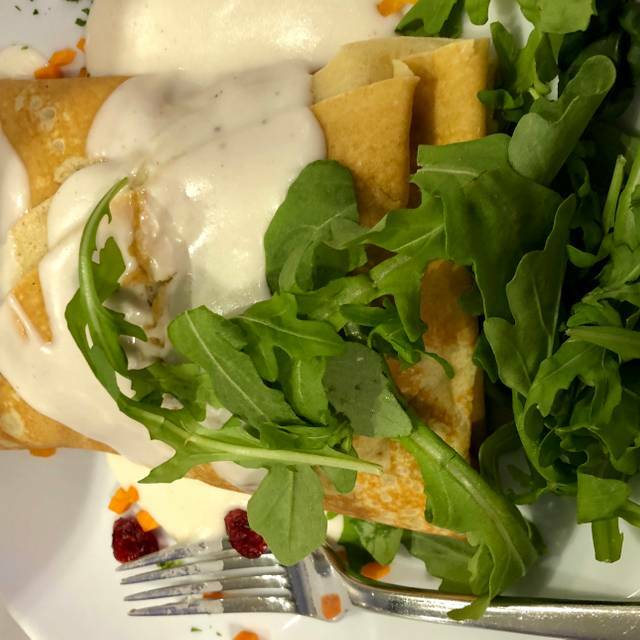 We were so pleased to hear about this creperie open on Main Street. Went one Friday morning and were easily seated. It's somewhat small, but has a nice size menu and a selection of coffees to warm a caffeine lover's soul. My husband and I enjoyed breakfast lovers crepes, but the choice was extensive. There is a place for a small group at the rear of the cafe. The one waitress was quite busy, but perfectly attentive and answered all of our questions. Quite a delightful morning. We hope it hangs around. We'll be back! 3rd time I’ve been to Crepe du Jour always loved their food and open kitchen. Learned today about their awesome bar and cocktail list. I will definitely be back to enjoy their Lillet Martini and a lovely glass of French wine. Great to have a classic wine and cocktail bar with a modern twist right on Main Street!